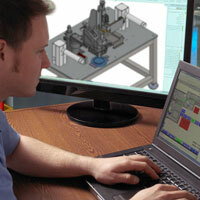 NEED TO GET MORE EFFICIENCY OUT OF YOUR MACHINES? 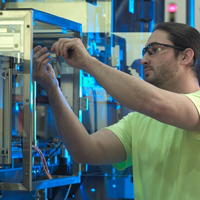 Universal Machine and Engineering Corporation helps companies improve speed, automation, overall efficiency and cost effectiveness, by rebuilding and/or refurbishing existing equipment. Rebuilding can give new life to machines and add years to their performance span. Machines that have historically performed well, but are in need of repair can be modified or updated to significantly improve their ability to function at their respective tasks. This valuable service, available from Universal Machine, is further enhanced by our ability to duplicate obsolete replacement parts that are no longer available from the original manufacturer. The rebuild and upgrade team at Universal Machine consistently brings tremendous value to companies by providing our customers with options over the capital needed for new equipment. Every project starts with an on-site inspection and client conference, followed by a study of rebuild alternatives and cost projections. A complete presentation is then made for consideration and approval by the customer. Universal’s “Special Projects Department” includes our: engineering staff, licensed electricians and skilled machinists working with state-of-the-art computerized machine tools.